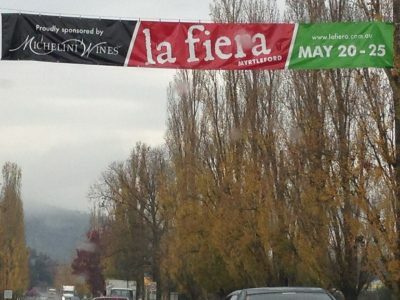 Do you love discovering the wonderful varieties of fresh seasonal produce in regional Australia , then don’t miss out on the annual La Fiera Italian Festival Myrtleford in Regional Victoria coming up weekend May 19th 2017. As part of this rich regional festival, Gapsted Wines and Chestnuts Australia will be hosting a very special dinner A Harvest with Stefano Manfredi . Yes, Manfredi , our very own Chestnut Ambassador is back and the evening will include a four course meal designed and prepared by Manfredi himself. Each course will be carefully paired with superb wines selected by Gapsted winemaker, Michael Cope-Williams. 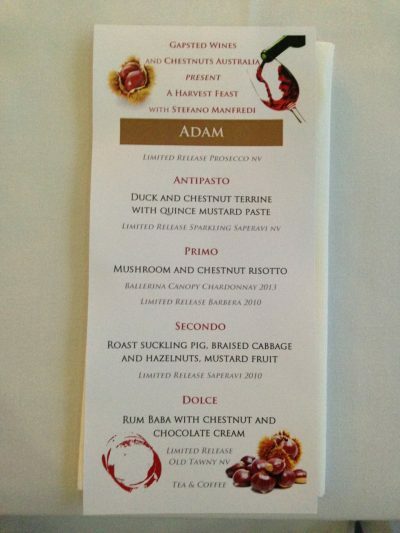 Stefano will lead you through his menu designed as a celebration of food and wine pairing. 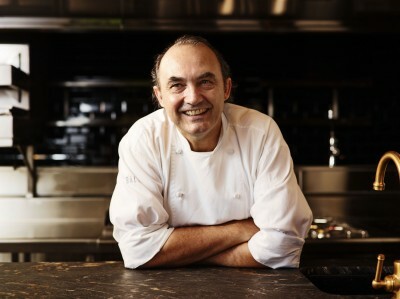 ‘A Harvest With Stefano Manfredi’ will be a memorable showcase of the region’s best produce from One of Australia’s leading exponents of Modern Italian Cuisine , while our Italian heritage ensures an evening of good food, good wine, and good conversation amongst friends. Tickets are all inclusive, seating is limited so please book early to ensure your seat at our table.